I thought to follow up my previous comments about the importance of preparation and getting every little advantage you can, that I would illustrate this with a real build-up, a real race, in this case the Auckland Champs sprint race 2013. Now a disclaimer, I am not going to be held responsible for your performance, and it is quite possible I will end up with egg on my face. But I think as a one-off it may be an interesting illustration. I am not going to do this all at once, it is going to evolve over the next week or so. So check back in here from time to time if you are interested. Planner: Joanna Stewart; Controller: Alistair Stewart. Now sometimes knowledge of the planner and controller can help, and give you some clues. Unfortunately my knowledge of Joanna and Alistair is confined to the fact that they are very experienced, very good, planners. It would be a reasonable assumption that they will run a very good event. Now the website also has a Bulletin, so check this too..Mmm this looks suspiciously like an entry form, though I guess if you are promoting online entry you need to call your old school entry form something. Important note - Entries close 11th October. Well, there is a good chance of that not working, if it doesn't have a look at Google Maps, where are the areas of detail that look likely? Halfmoon Bay is in East Auckland. 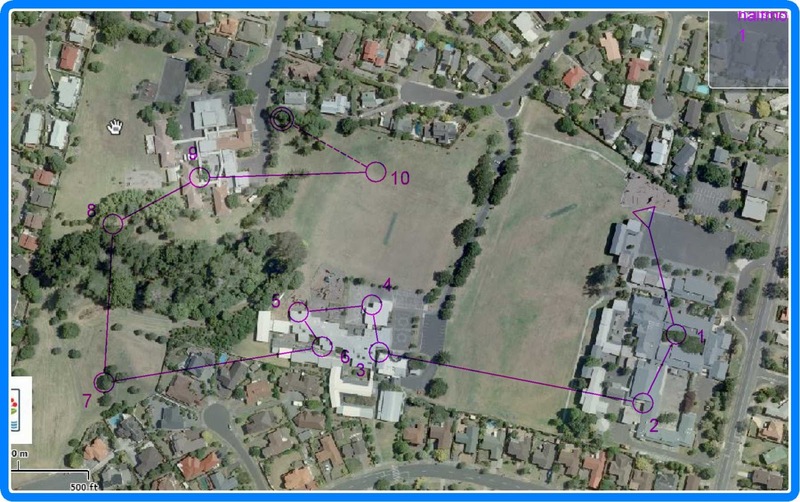 There are a few potential areas there, but given the likely desire to stay away from major roads, the likely candidates to me seem like possibly Pakuranga college, but more likely an area slightly to the north. This will be the area I investigate (this is the egg over face bit as I may well be wrong). Some time before the event the organiser will need to be more specific about where the event is, ie where they want us to park and register, that would be a time to revisit all previous assumptions! Now if this was a World Champs, or race that meant a whole lot to you, the thing to do would be to draw it in ocad. With the increasingly availability of data this is becoming easier to do. In some areas contours, building outline,kerbs and road outlines can be imported directly into ocad. This can then be supplemented by adding what you can to the map from analysis of the aerial photos, whether from google or elsewhere. In New Zealand the website koordinates.com is increasingly useful. For example it contains all of the above data for the city of Wellington. For this area though it seems at a quick look to have come up empty. But if you flick to the Auckland Council GIS system it is possible to view some contours (1m). Note in this snip the out of date aerial photography, with the complex at the top left yet to be built. Once you have built/drawn a map (pretty much the same process the mapper will be going through to create a base map), you can then look at route choice. I am just going to do this using the aerial imagery....here is a photo loaded into Condes with a course planned on it. I have guessed that a good place for the event centre, ie plenty of space/parking might be at the north end of the park, giving the opportunity to start straight into the school to the east. Spectator dog leg at 10, map change (or flip) at where I have marked the finish.